I’ve been using the Thesis WordPress Theme for quite some time now, and I’ve continually been impressed with how easy upgrades are with it, the plethora of options available using the thesis backend, and how I’ve been able to customize the theme for my own uses. Still, there are times where Thesis can be a bit daunting for those who don’t know a whole lot of CSS or PHP. Making changes that aren’t standard changes can be confusing for someone without the basic skills. The forums help for this type of thing, but it’s still enough to keep a user with limited skills from attempting too many changes. 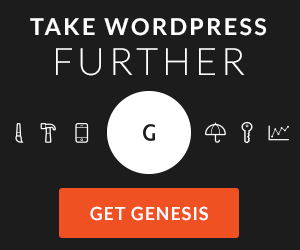 Today I was reading a review of a new theme that could be the next big thing for WordPress themes. It’s called the Headway WordPress Theme. 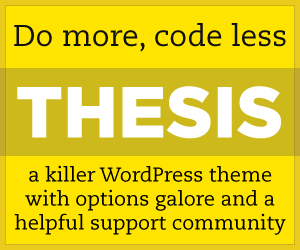 Many are comparing the theme to thesis in that in it’s basic form it does look similar to Thesis. But when you look under the hood, it has even more features than Thesis has when it comes to customizing the options. Here’s a few of the options that Headway has that impressed me. Rearrange your site layout with drag and drop. The theme’s design panel allows you to change site dimensions, update and change colors or fonts, and more. The configuration panel allows you to customize just about everything you could ever want to modify. Easily rearrange your site navigation with drag and drop, add content to the header (including header graphics) or footer of your website for analytic scripts, add a favicon, etc. So far it seems like this theme will really be a force to reckon with – it has almost everything that Thesis does, but more. Rumors are that may be changing though as Thesis will be coming out with version 2.0 in September which should have a ton of new features. Interested in buying and trying out Headway on your site? Click on the affiliate banner or one of the links on this page. Let us know what you think! Agree 100% with John. I love Thesis but I’m no coder and my work keeps me too busy to go through CSS help to do the stuff that Headway does on the fly with no coding.